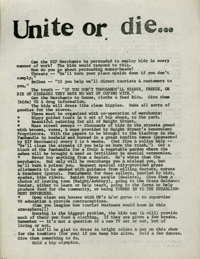 Abstract: A rose-tinted plea from "Allen G. (Age 17 years)" for activities, jobs, opportunitites to be provided for "the kids" coming to the Haight. 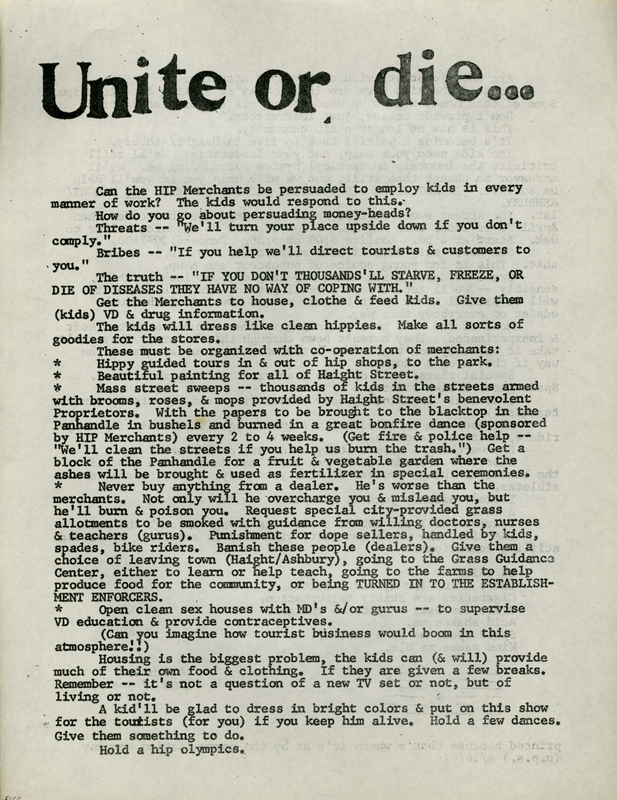 "Can the HIP Merchants be persuaded to employ kids in every manner of work? The kids would respond to this. How do you go about persuading money-heads?..Get the Merchants to house, clothe & feed kids. ..The kids will dress like clean hippies. .."
Notes: Two hexagrams. Imprint: "printed because that's where it's at by the communication company"